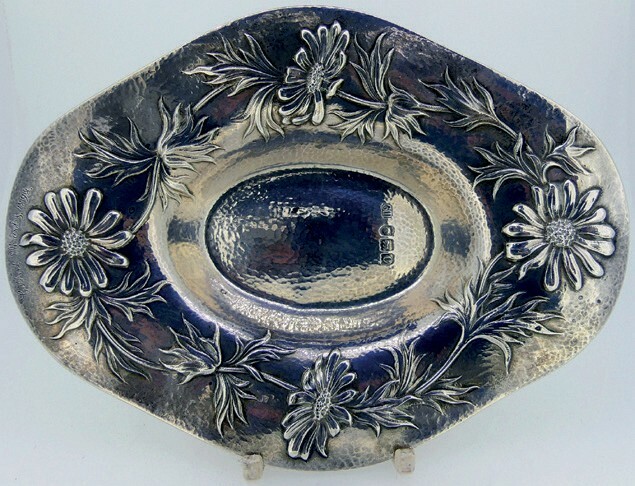 This late Victorian dish above bears the hallmarks for Art Nouveau silversmith Gilbert Marks (1861-1905), London 1898. Due to his untimely death following illness, it is generally accepted that Marks only produced in the region of 700-800 pieces during his career. He was inspired by nature and his early work in particular has a heavy emphasis on flowers. The 6¾in (17cm) long lozenge-shaped dish, hand planished and embossed with scrolling chrysanthemum leaves and flowers, is estimated at £800-1200 in a sale at Chilcotts Auctioneers of Honiton on March 2. 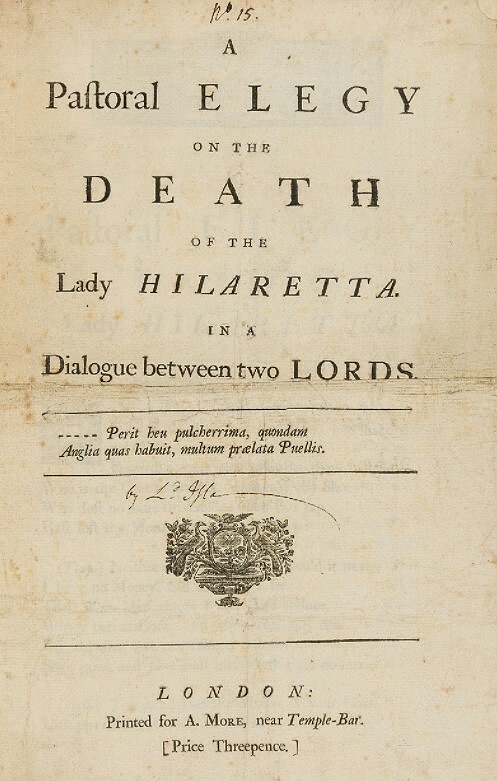 This slightly foxed first edition of A Pastoral Elegy on the Death of the Lady Hilaretta, above, was written by John Campbell, second Duke of Argyll (1680-1743), and contains a poem on the scandalous life of Lady Abergavenny. Lady Abergavenny’s first husband, the 13th Lord Abergavenny, died of smallpox some five months after their marriage. She subsequently married his cousin and heir to the title but had several love affairs, most scandalous of which was with Richard Lyddel – who was tried in 1730, a few months after her death, ‘for carrying on a criminal conversation with the late Lady Abergavenny’. Catalogued as relating to a ‘notorious adulteress’, the lot goes under the hammer on February 14 – Valentine’s Day. It is estimated at £500-700 at Forum Auctions in Mayfair, London. 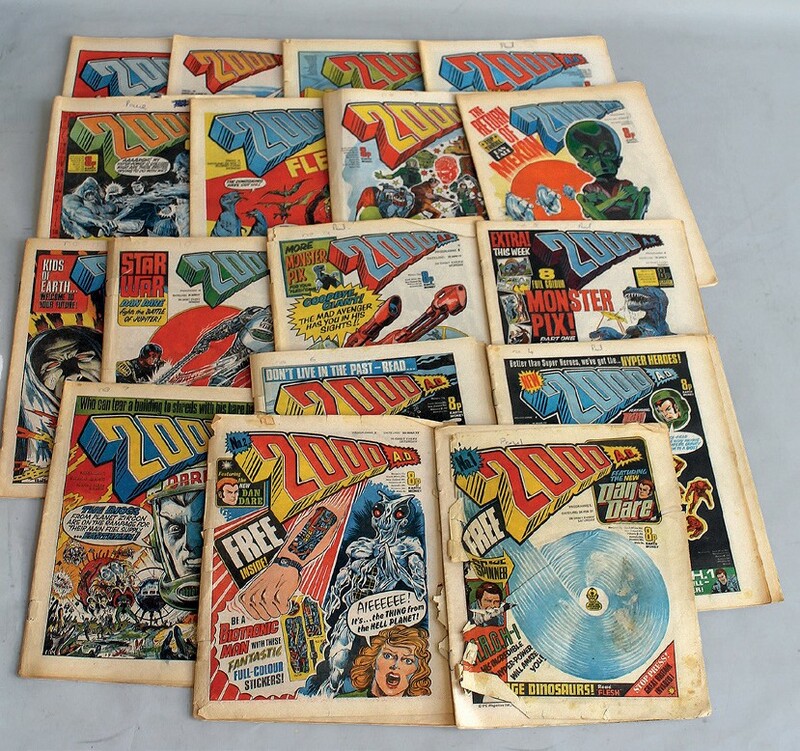 A complete run of the science fiction comic 2000AD – starting from the first issue in February 1977 through to issue number 2111, published in December last year – will go under the hammer at Cuttlestones’ Specialist Collectors’ sale in Wolverhampton on February 15. The magazine is noted for its Judge Dredd stories and has been a successful launchpad for getting British talent into the larger American comics market. 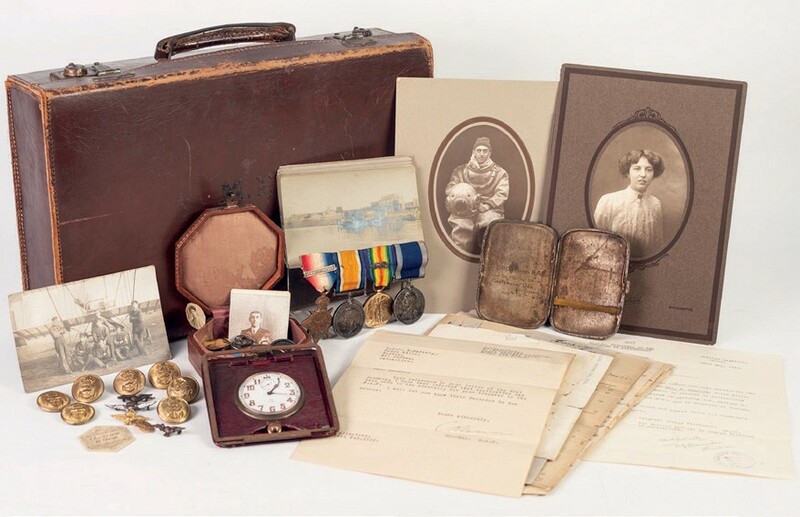 As part of its collectors’ auction on February 19 in Manchester, Capes Dunn will offer a First World War medal group awarded to one of the men who served with British naval aviation pioneer Air Commodore Charles Rumney Samson. Rowland Harper was part of Samson’s 3 Squadron Royal Naval Air Service at Eastchurch in Kent and was among the first servicemen to use British armoured vehicles in combat. He was seriously wounded on September 27, 1914, while on board an armoured Rolls-Royce in Douai, northern France. He was captured and subsequently became a POW at Château d’Oex in Switzerland, where he was allowed to marry his fiancée, Mabel Meanock. Included in the lot are documents, correspondence, photographs and a pocket watch received as a wedding gift from sergeants at Château d’Oex.